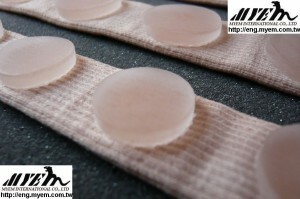 ITEM Name: Medical Gel Toe Cap. ITEM NO.:ES-TOCAP. 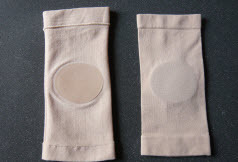 Sizes: S, M and L. S – Circumference approx 4.4cm. M-Circumference approx 5.4cm. L-Circumference approx 7.4cm. 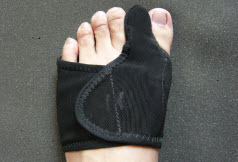 Reduces pain caused by calluses, soft corns, claw toes and hammer toes. 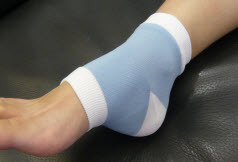 Fully coated with medical grade gel. Simply cut with scissors to desired length. 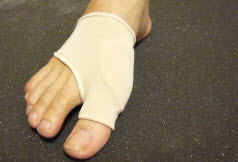 Bunion Care/Cushion Gel Sleeve ITEM No. 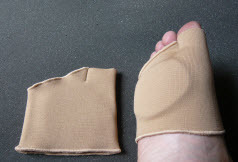 ES-TOBIG Sizes: S, M and L S-forefoot circumference between 15.5-20cm M-forefoot circumference between 20.1-24.5cm L-forefoot circumference between 24.6-29.1cm Elastic sleeve with polymer gel pad, make it easy to slip on and comfortable to wear, Washable and reusable Shield bunions from abrasion and pressure. Standard packing: 1 pc/1 pkg.